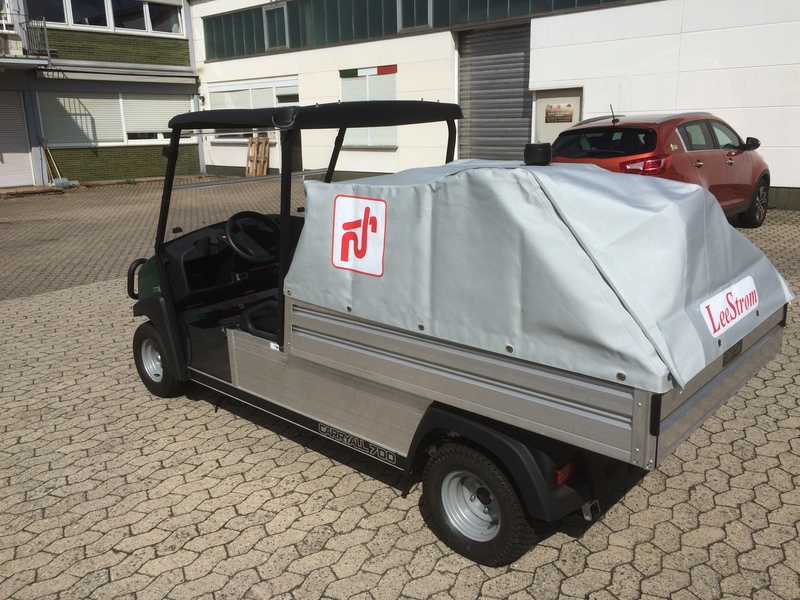 LeeStrom GmbH unveil its latest fleet of Golf Buggy based pump out machine. These machines are destined for the Middle East as the latest part of a contract to supply pump out to a client who will build several marinas over the next 5 years. The Golf buggy installations are to allow the marina staff to provide pump out at the berths of boats that are not served by the central pumping stations around the marinas. 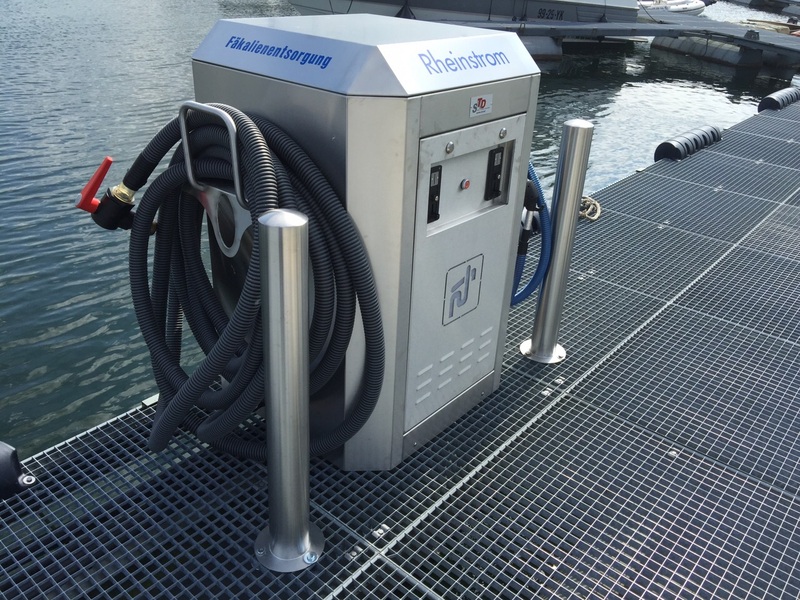 The golf buggies will ensure that “All” boats in the marinas are able to be pumped out effectively without leaving their berths. 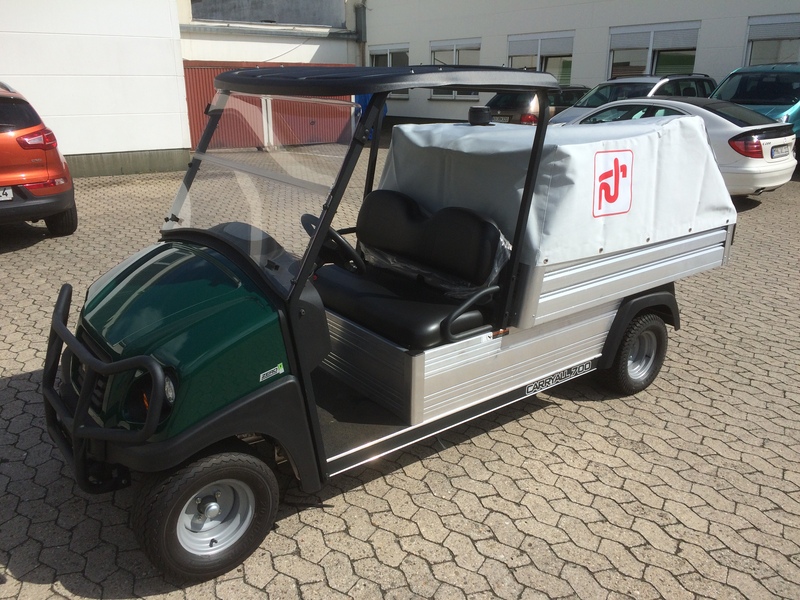 The Golf buggies are designed to enable the buggies themselves to be utilised on other tasks by simple removal of the modular units from the bed of the buggy by means of forklift or crane. The modular pump out unit consists of a powerful Peristaltic pump set, a 475litre holding tank, a hose reel for neat storage of the suction hose and a control panel to allow manual stop/start and a facility which will stop the pump when the holding tank is full. 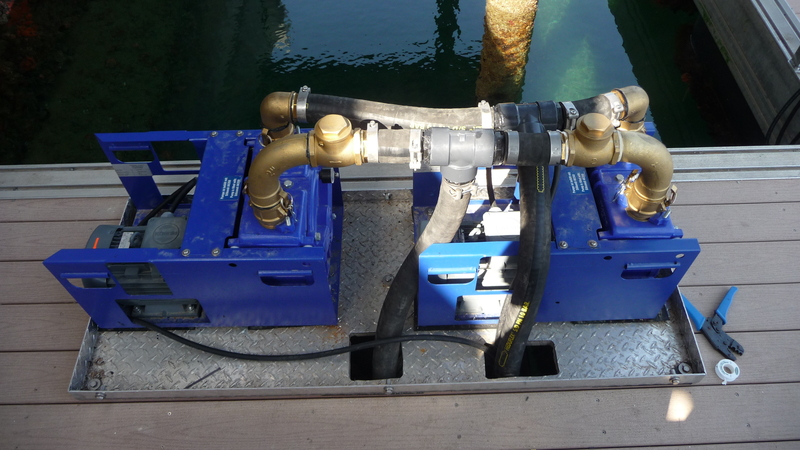 The unit can be used to pump out boats of all sizes and when full simply drive the buggy to a sewer or in this case to a purpose built emptying point, hook up the units on board discharge pipe and by means of a diverter system the same on board pump can discharge the waste to shore. 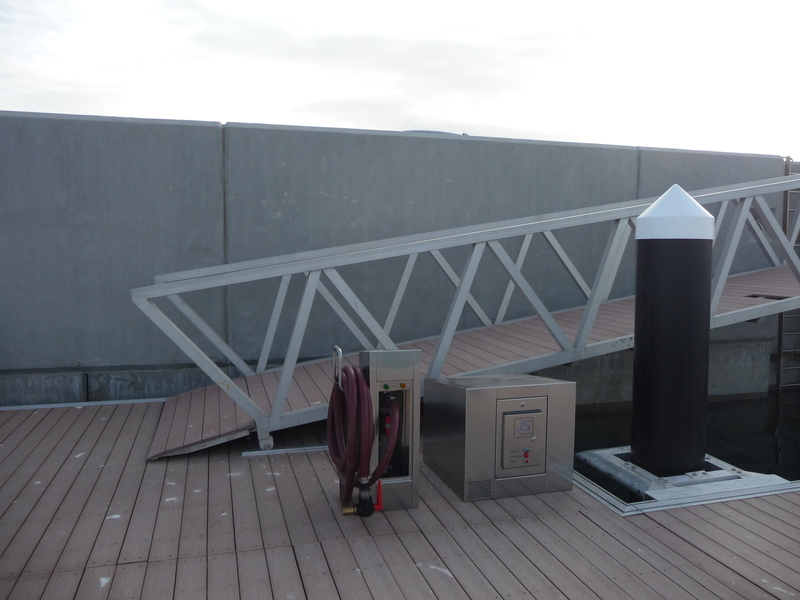 Security Technic & Developments (ST & D) the company representing LeeStrom in The Netherlands have just completed another quality installation at the marina Jachthaven De Mars in Lathum. 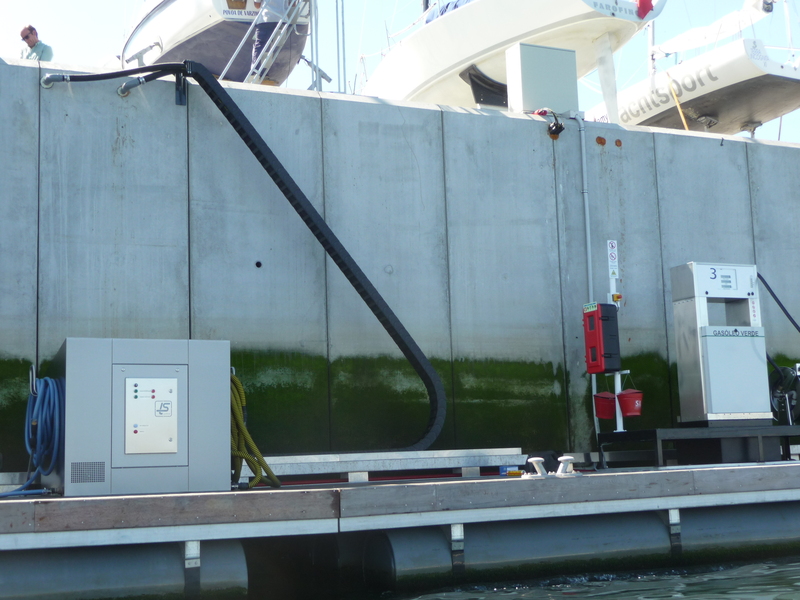 The client requested a dual station which removes both Black water (waste) and oily bilge water from the boats in the marina and discharges ashore for treatment. The vending method on this machine is via token mechanisms. For more details contact your local representative. 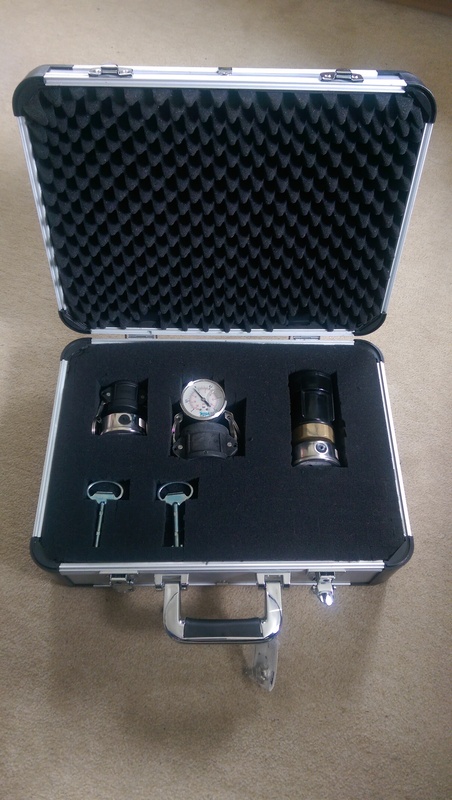 LeeStrom have developed a new kit to ensure that your pump out machines are working at peak performance. The kit will also help diagnose any problems that may exist and in some circumstances may help to remove the posibilty of future issues. The kit is a must for all engineers working on the LeeStrom pump out station and a comprehensive addition to the owners tool kit for sevice and repair. LeeStrom on Tour 2015 The annual dealer meeting of our French partners “Depagne” took place yesterday the 9th April. Our representative at the event was LeeStrom’s sales director Ingo Froese. The event ended with a “friendly” football tournament as only a France v Germany can be! I am happy to say that the winning team and those taking home the trophy included our very own Herr Froese. 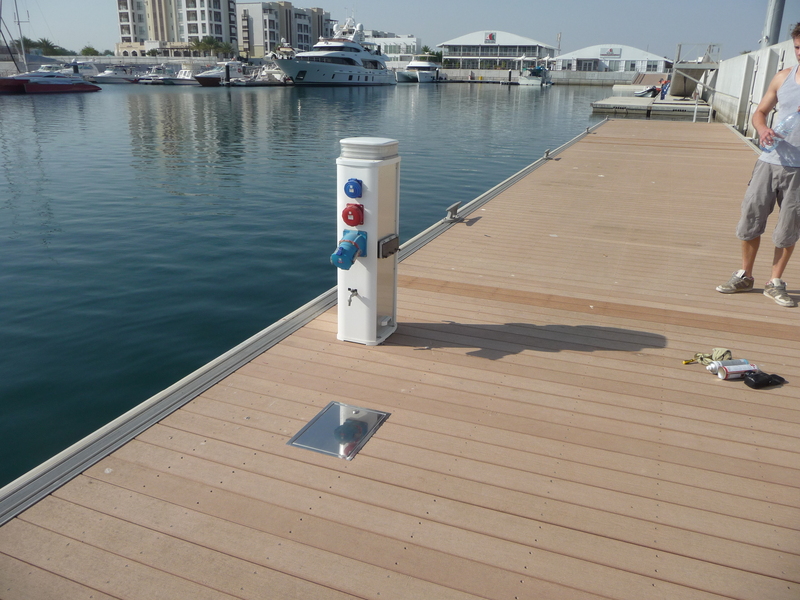 The recent refurbishment of the facilities at the exclusive Jumeirah Beach hotel marina has meant that LeeStrom were asked to complete a survey and report of the pump out systems employed at the marina and to carry out remedial works to allow for integration into the new services supplied by the Bollard manufacturer. 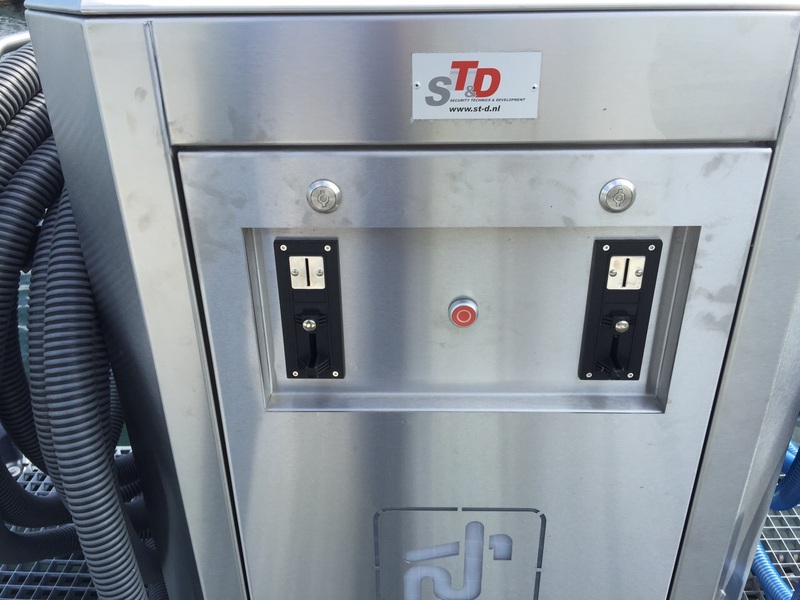 The new service included new emergency services pedestals which now house the updated pump out points, supplied and installed by LeeStrom. As can be seen in the pictures the original pump and housings which were originally installed in 2009 are to remain and still look incredible considering the harsh environment in which they are installed. Very little of the original equipment and infrastructure will be changed in the pump out system, only minor alterations will be made to allow for the new layout. 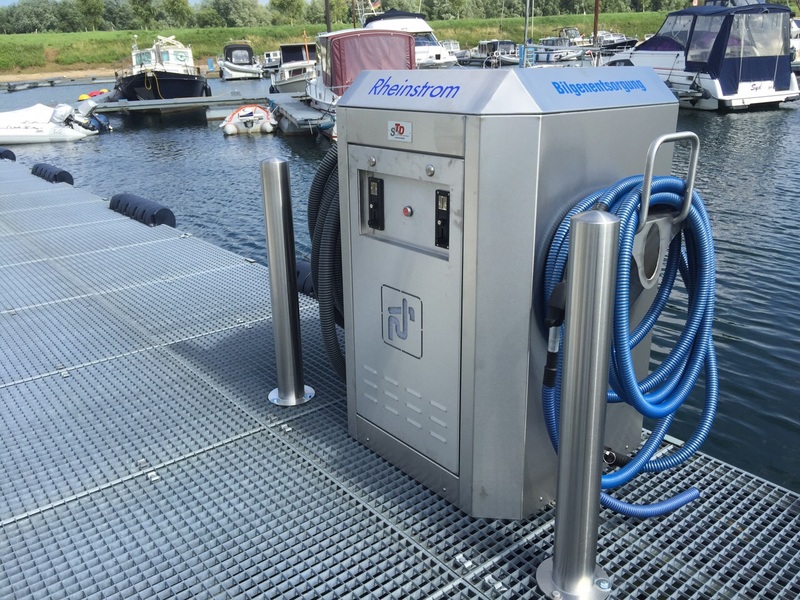 The latest installation of LeeStrom equipment consists of a Portaway staion for the emptying of Portable toilets and cassettes, also a self priminig pump out station for the evacuation of boat black waste holding tanks. The equipment is installed by La -Sa Maskin on a site West of Oslo, Sandvika Guestharbour. The equipment replaces the previous equipment that was installed not too long ago by other!, you can take it for granted that the LeeStrom equipmernt will be around for many years time, like our Dealers service vehicle. 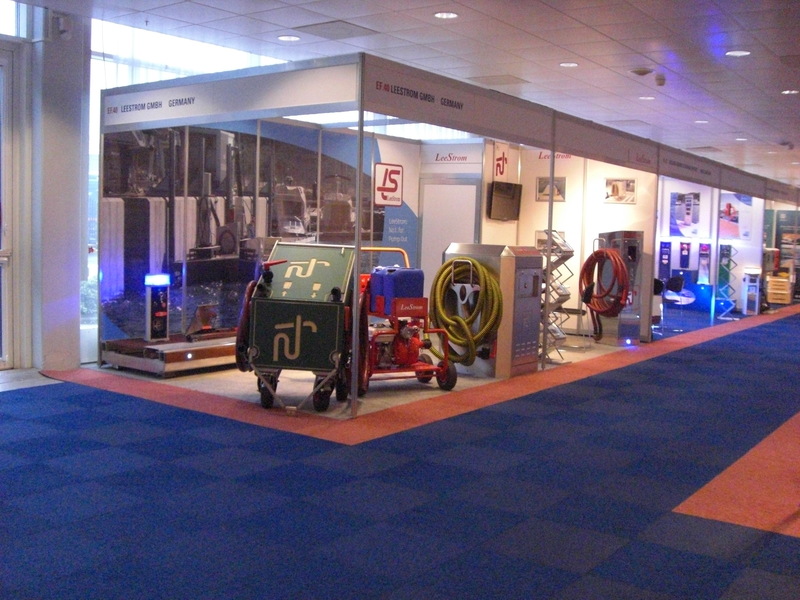 Again LeeStrom where at the very popular Marine equipment trade show in Amsterdam. We were very happy to see many of our international distributors. The latest news is that we have signed up a new distributor who is based in Estonia and will cover Estonia and Finland. 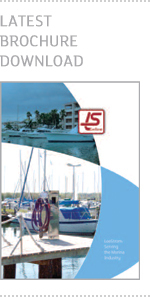 Our new dealer will be exhibiting LeeStrom products at the Helsinki boat show: dates 7th - 16th February 2014 also at the show in Tallinn, Estonia from the 14th until the 16th March 2014. 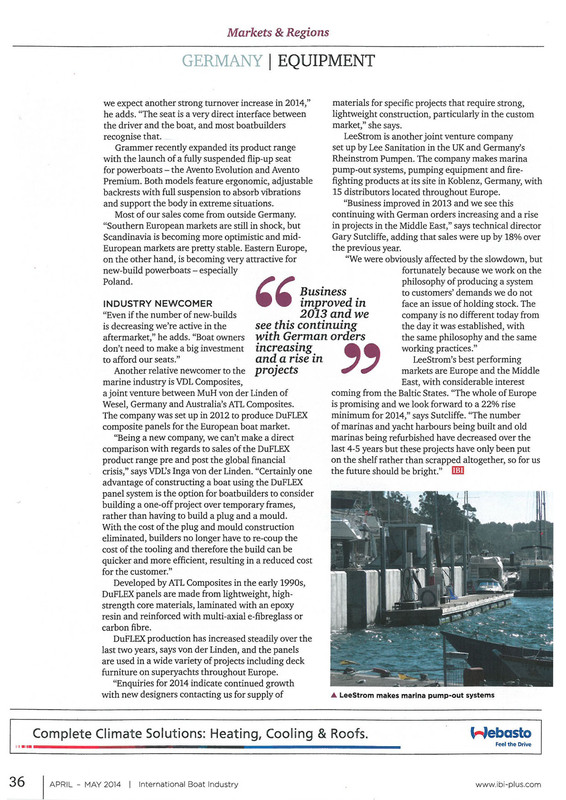 Yet again LeeStrom makes an appearance at the latest Istanbul boat show, courtesey of its distributor Trio Deniz. The show was attended by LeeStrom directors Ingo Froese and Gary Sutcliffe. During the show a number of meetings were held sponsored by LeeStrom's representative in Turkey: Orkan Guler, various projects are under discussion with some exiting new features to the LeeStroms portfolio, NEWS to Come. Boot Dusseldorf 2013 and a great turn out at the show. At the 2013 Boot Dusseldorf, dealers from 7 countries came together to support the founders and LeeStyrom partners Rheinstrom Pumpen Fabrik at what is one of the worlds biggest boat shows to help promote the range of LeeStrom equipment. Amongst those attending were: Triodeniz from Turkey, Wilrec from Holland, Arabel from Belgium, El-Effekt from Sweden, Rollins who represent the Middle east division, Lee Sanitation from the UK and of course the hosts Rheinstrom from Germany. All parties were up beat and confident for a strong performance in 2013 and looking forward to some interesting projects. LeeStrom completes latest project in Muscat, Oman. The latest major project for LeeStrom was completed this week in Muscat, Oman. 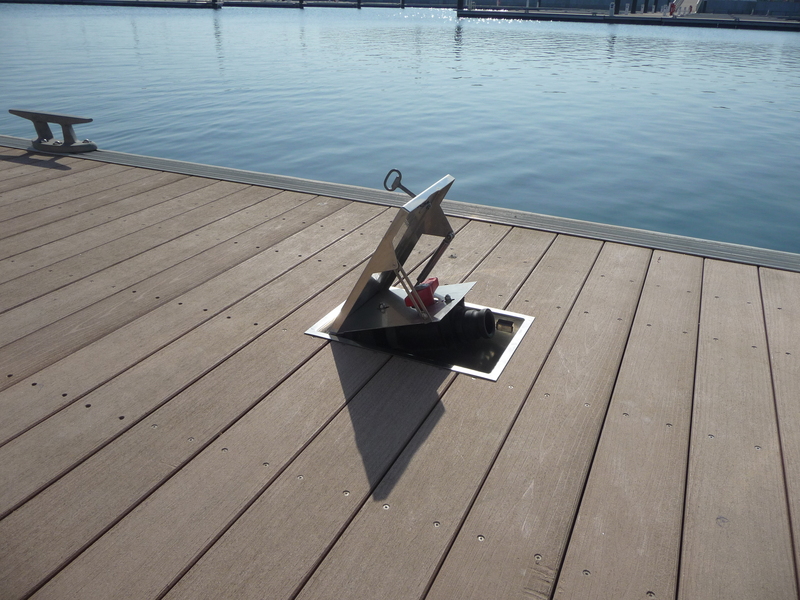 The project at The Wave's Almouj Marina was completed for LeeStrom's clients: Rollins marine/Technomarine. 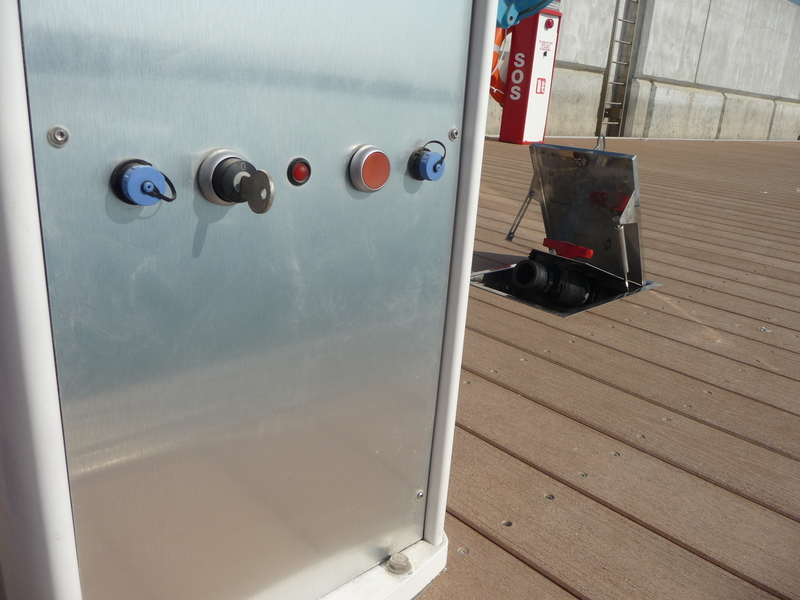 The systems which includes a Dual system pump station on the VIP berths which serve to provide suction through custom built under deck stainless steel flush fittings on all the individual berths, these fittins allow for connection of a 2"(50mm) flexible hose for connection to the vessels. 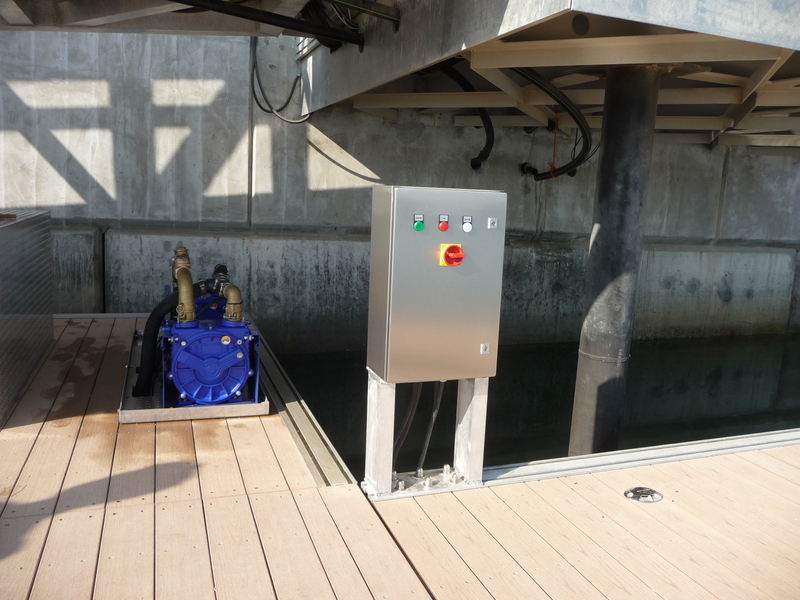 The marina also has an LSPH-100 station on the fuel berth which provide pump out for boats that arrive at the fuel dock. 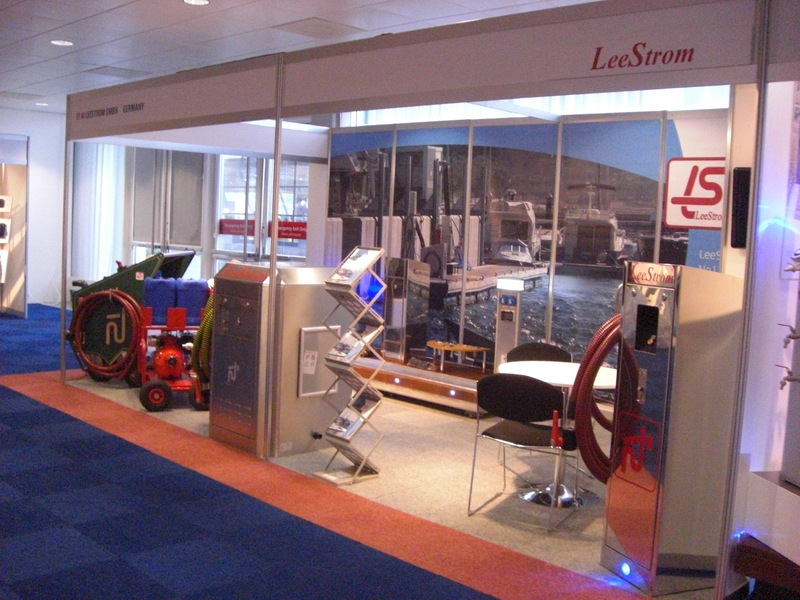 The systems were installed, tested and commissioned by leeStrom's partners from the UK, Lee sanitation Ltd.
At the Recent METS in Amsterdam LeeStrom GmbH appointed the latest member of the team and the new representative for the market in Denmark. The new member is NBC Marine and the contact is Kim von der Recke. 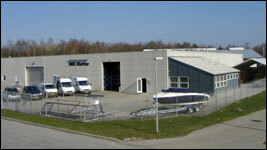 LeeStrom are looking forward to dealing with NBC Marine and to many years of fruitful business together. The companies sales director Ingo Froese says: NBC Marine are an ideal fit for our business due to the similarity in the two companies ethos for quality and service. The first day at METS 2012 gets off to a good start with visitors from 5 different countries arriving on the stand to talk pump out. looking forward to welcoming many more and of course our dealers from around the world. 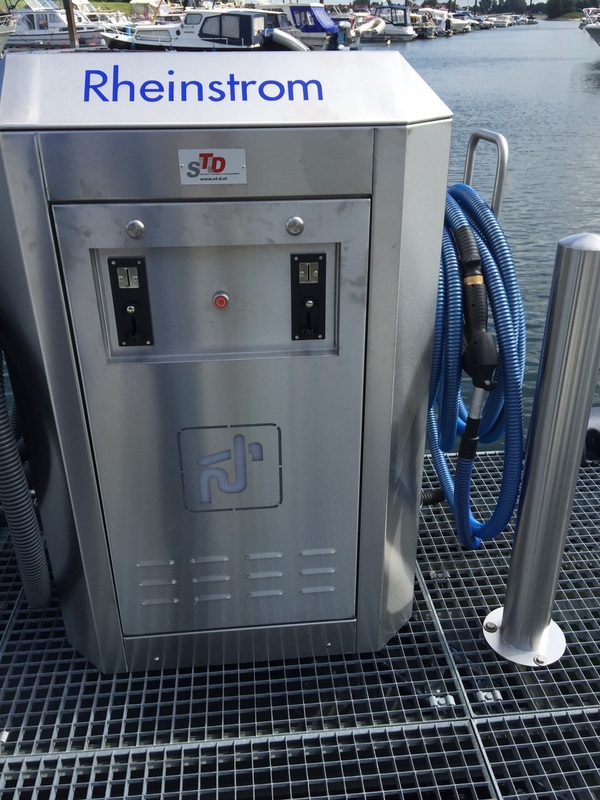 The first pump out station to be supplied in Portugal was recently installed and commissioned by Lee Sanitation, LeeStrom’s UK distributor at the New Douro Marina in Porto. The station specified for this marina is the LS400WB which is a dual station used for removing toilet (Black) waste water and also Bilge (oily) water from vessels. The black water is pumped ashore and is discharged into the municipal sewer system for treatment and the bilge water is sent ashore to a collection tank, where it will be collected at a later date when the hydrocarbons can be taken away from site and recycled. A significant development for LeeStrom on this site was the use of a specialised cable and hose handling system. This system was first developed in the coal mines of the UK and used for moving machinery with cables and hoses attached in harsh conditions. 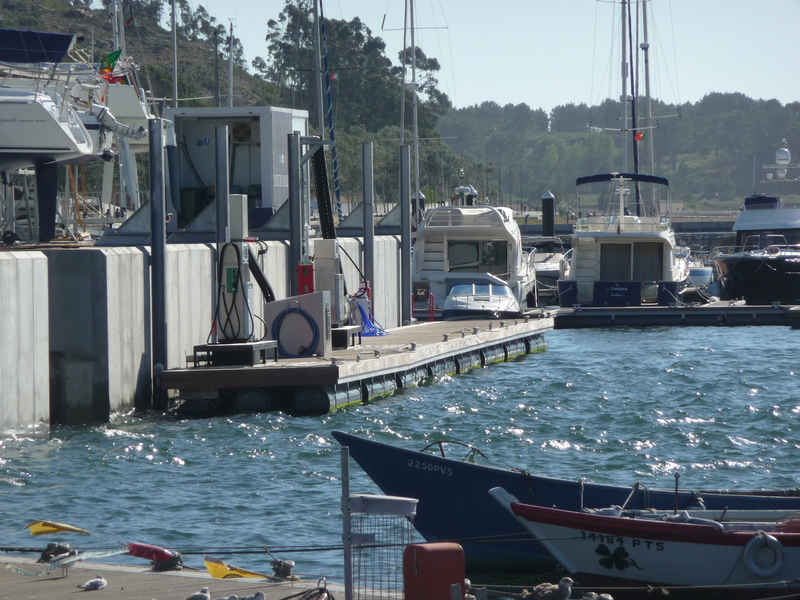 The reason it was adopted at the Marina Douro site is due to the extreme tides in the area, the tide at the marina can exceed 7m and the pipe work from the station has to rise and fall under tidal conditions, vertically up the new concrete quay wall. Since the installation a second station for Portugal has been ordered by a customer, details to be posted on this site shortly.